Motorola DROID Maxx 2 expected price in India is ₹25,999. The DROID MAXX 2 can quickly be an afterthought once you detail the DROID Turbo 2 from head-to-toe. 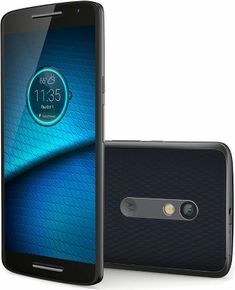 In the specs department, there’s nothing that would invoke awe or attraction when we look at the DROID MAXX 2 – it’s clearly in the mid-range category. Price wise, however, it does make for a worthy proposition. The difference, naturally, relates to the DROID MAXX 2’s subdued specs sheet and non-customizable design – so it makes perfect sense why it’s priced less.